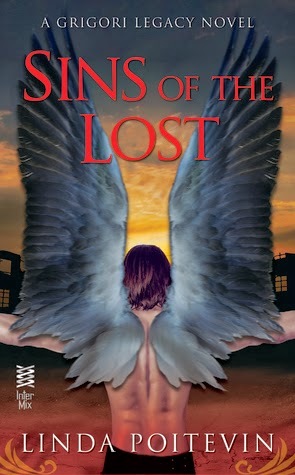 Good Choice Reading: SINS OF THE LOST by Linda Poitevin - Guest Post & Giveaway! SINS OF THE LOST by Linda Poitevin - Guest Post & Giveaway! How different is SINS OF THE LOST now from the first draft? Thank you so very much for hosting me on Good Choice Reading today...I’m delighted to be here, and soooo excited to tell your readers about Sins of the Lost, the third book in the Grigori Legacy series! Many writers advocate the just-write-it-down approach, preferring to produce a continuous first draft without going back to edit or make any changes. As a result, the first draft they produce often looks nothing like the final one. Instead, I’m one of another group...those who edit and tweak as they go. This approach has good points and bad. On the downside, it certainly slows me down when it comes to word count (I guarantee you’ll never, ever see me post about how I wrote 5k or 10k words in one day. Ever.). I can also get stuck for a really, really long time on a single chapter or scene, needing to get it right before I can move forward with the story (case in point: I rewrote the first chapter of Sins of the Lost 17 times before chapter two had a snowball’s chance of making it onto the page). On the upside, however, it also means that by the time I finish my “first” draft, I’ve already been through several edits and have a very nearly polished product to hand in to my editor. I still do two or three full reads of the completed manuscript—first, to make sure I’ve smoothed over any of the scenes I moved around; second, to remove all the niggly little bad habits I’ve missed (rolling eyes, heavy sighs, shrugging shoulders, etc. ); and third, to do one last general proofread. My process isn’t for everyone. Every writer has his/her approach to writing. It’s a personal thing, designed to fit around life and its many challenges; and what works for one isn’t necessarily going to work for another. And honestly, my method tends to be as much a work-in-progress as...well, my works-in-progress. With rumors of the pending war rampant on Earth, Alex fights to save humanity from its own panic – leaving little time for her fledglingrelationship with Seth, the man with heavenly origins who has captured her heart. But when Nephilim children begin to disappear, along with Alex’s own vulnerable niece, the inevitable war between Heaven and Hell becomes as personal as sin. Linda currently lives near Ottawa with her husband, youngest of three daughters, one very large husky/shepherd/Great Dane-cross dog, two cats, a rabbit, and a bearded dragon lizard. 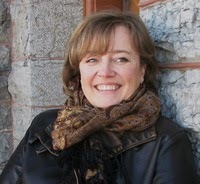 When she isn’t writing, she can usually be found in her garden or walking her dog along the river or through the woods. I find the Nephilim interesting and the war between heaven and hell is always exciting. I haven't read this series yet but it sounds amazing. I love books with a paranormal spin on the bible it makes for a very interesting story. Thanks for the giveaway! I'm really into the Nephilim. I find them fascinating and I like to read stories about Heaven and Hell where good and evil are actual characters. I've read a couple of Nephilim books, and to be honest, when I read the synopsis, I thought to myself, "Oh no, not another one!" Now, though, seeing Linda's from my province, I'm intrigued by the whole series. Canadian authors just have a different feel to them! Got to love the war between heaven and hell! Angels are a great read. Im quite intrigued by this series! I love paranormal books. This series sounds amazing. I love the war between heaven and hell, the characters sound very interesting. Thanks for sharing!